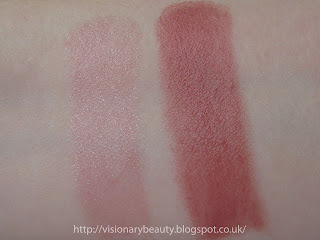 The new Rouge Allure collection features 4 Rouge Allures (2 regular, 2 velvets), 3 Rouge Allure glosses and some nail polishes and lip liners. 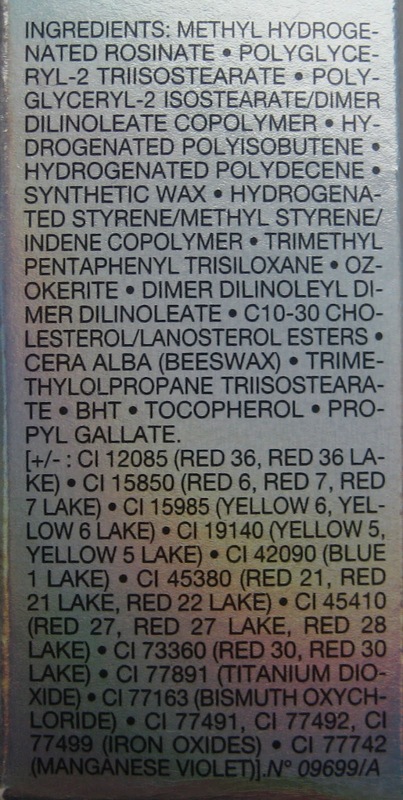 Some of the items are from the permanent line making it a rather concise collection. 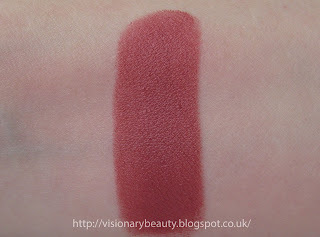 I wasn't planning on buying anything but when I spotted the display it occurred to me that I might not have tried the Rouge Allure Velvet lip formula. Completely aghast with this realisation I corrected the wrong doing and bought the limited edition Rouge Allure Velvet in La Mysterieuse. 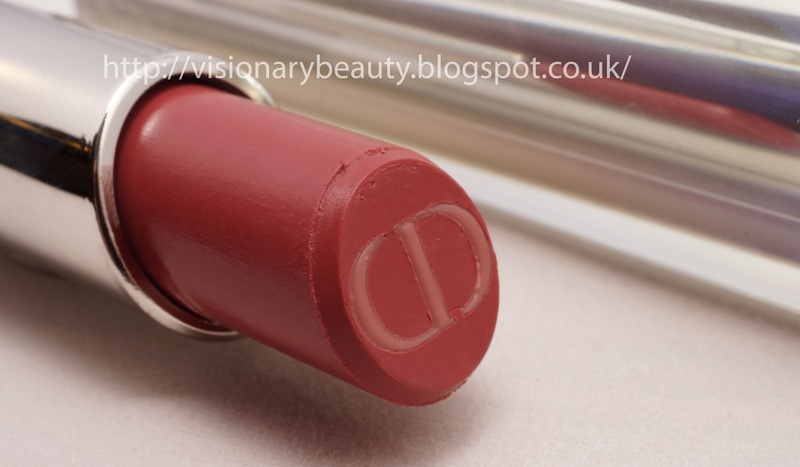 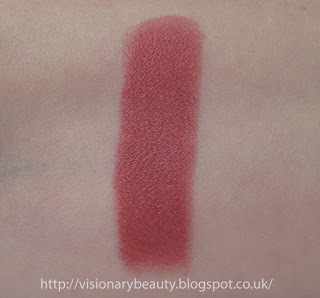 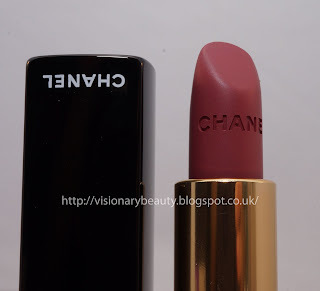 The lipstick has a velvety feel and applies really smooth, however it does feel clingy and sinks into lip lines a bit, its not uncomfortably drying but lacks the level of hydration I prefer. 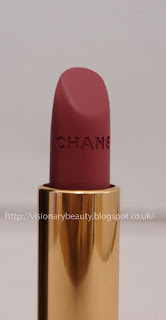 On the plus side its richly pigmented, wear time is really good and the colour is just lush, its a medium to deep rose, the base is matte but there is a subtle gold sheen to it which helps it not look flat. 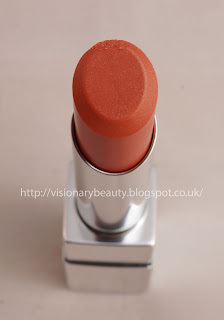 Whilst the formula is not my favourite, I really am enjoying this saturated colour that brightens up the complexion, which I really need at the moment, as I am rocking a tired, drab look courtesy of my teething sleepless baby. 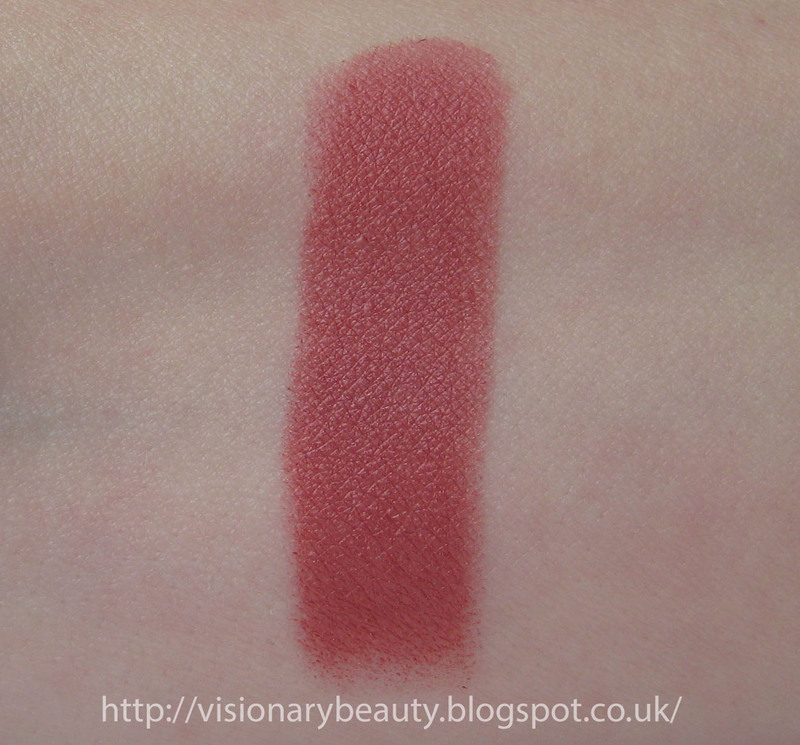 Overall I think this collection is worth a peruse and it serves to wet the appetite for the upcoming Vamp Attitude Holiday collection. 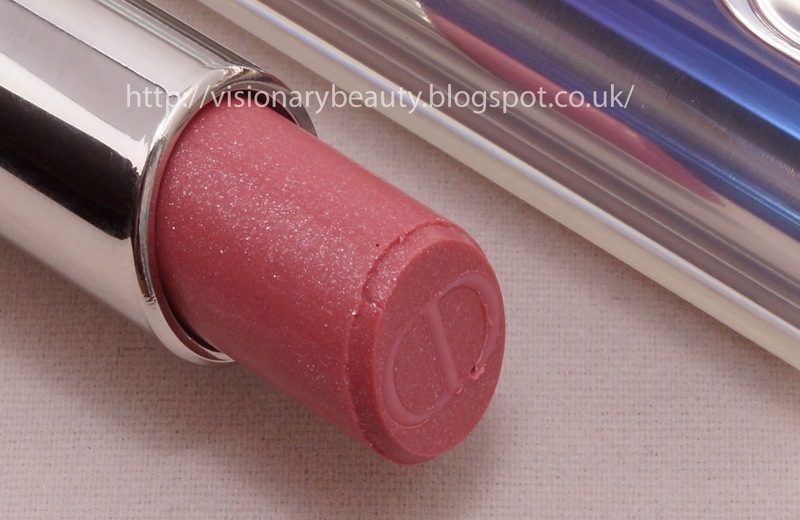 The new Dior Addict lipstick relaunched for this Fall come in three finishes, Glow (which contains a subtle pearly shine), Flash (pure, accented colour) and Glitter (containing iridescent shimmer/glitter). 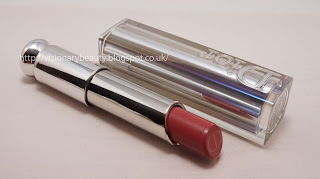 I wanted to buy one from each finish but the Black Tie I wanted from the Flash finish was sold out everywhere. The lipstick case has been updated and now has a magnet fitting so that the lipstick clicks in when sliding into the tube. 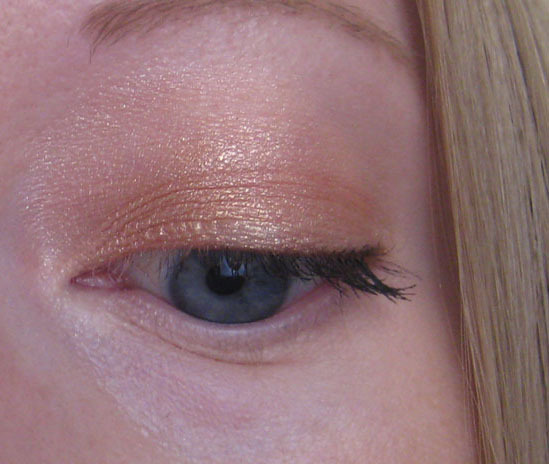 Bright #260 (from the Glitter range) is a slightly milky pale pink with a heavy does of silver micro glitter. 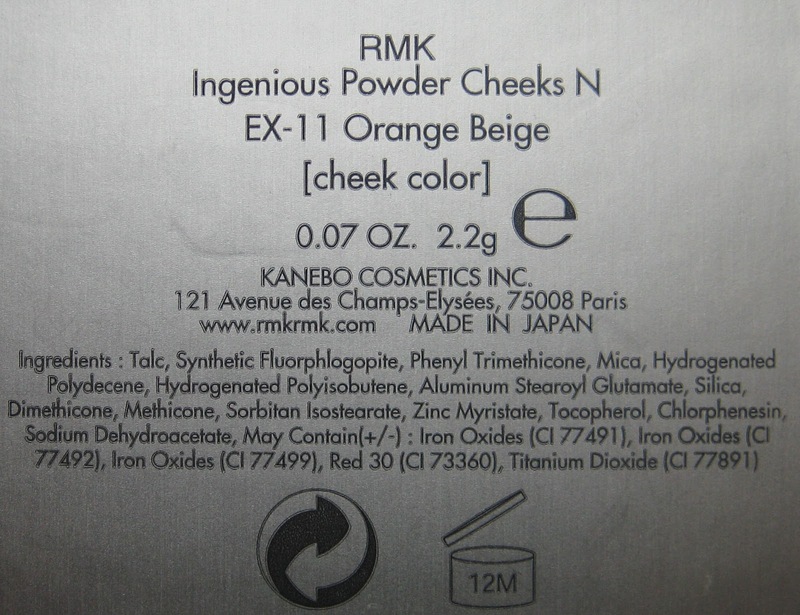 The coolness and silver hue from the glitter doesn't really suit me but I was pleased that for a glitter finish the texture was smooth. True #722 (from the Glow range) is a very flattering rosewood with a shine/glow finish. The reformulated formula has a hydra-gel core throughout the length of the bullet and is meant to deliver a top coat effect for sensational mirror shine. 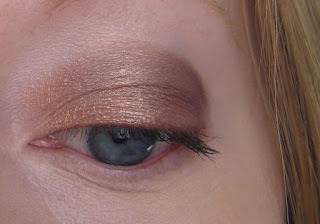 I quite liked the previous Addicts and have to admit that the new incarnation does not seem so dissimilar. 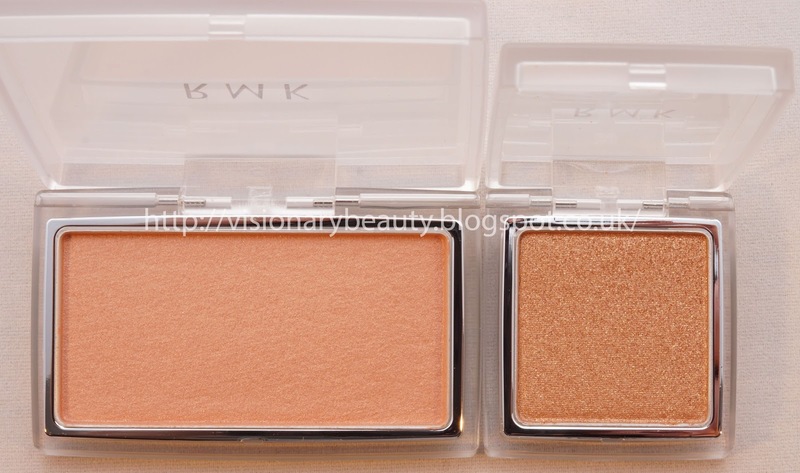 They feel lightweight and are hydrating, wear for around 3 hours and give a shiny finish. 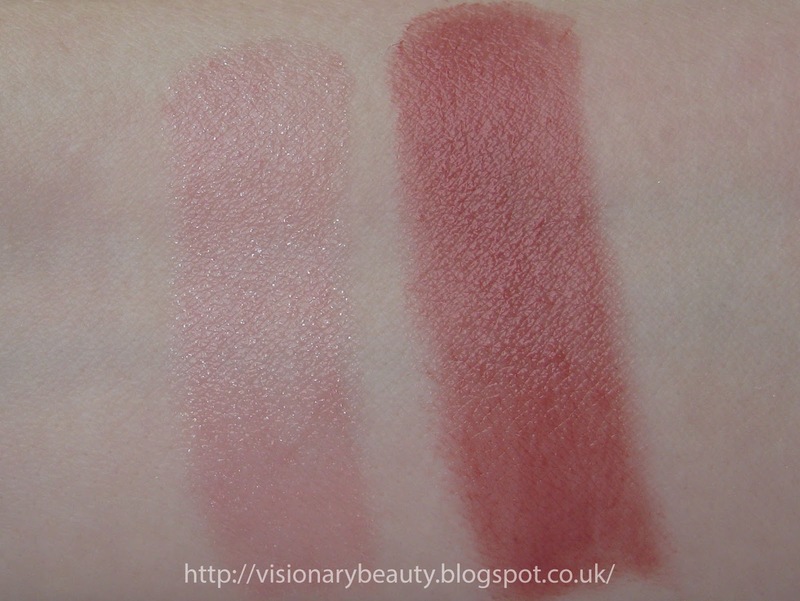 The most noticeable differences I find is that neither shade settled into lip lines (the former lighter shades of Addicts were prone to doing this) and these are not scented. These are very nice lipsticks, though in a mass of so many good quality lipsticks on the market I don't feel that they necessarily offer anything new to the table so won't rush to buy more (unless its an unmissable shade of course...). 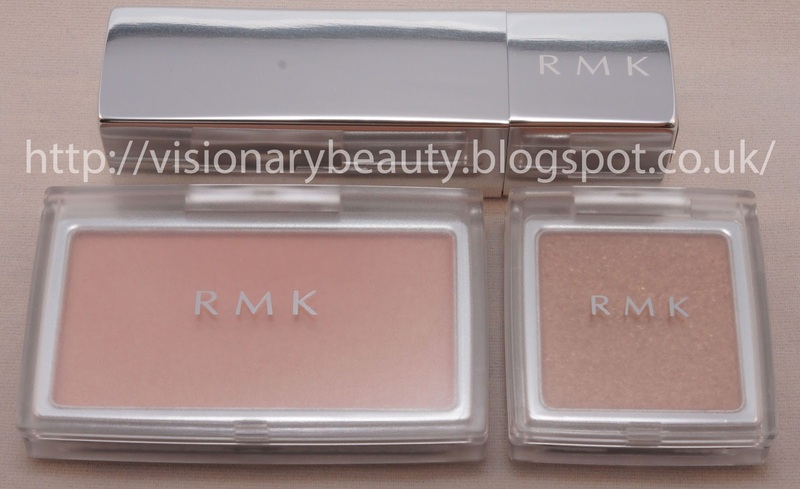 The Urban Gold Fall collection from RMK was inspired by the iconic city of New York, the collection incorporates golden accents to represent the glow of city lights across grand skyscrapers. 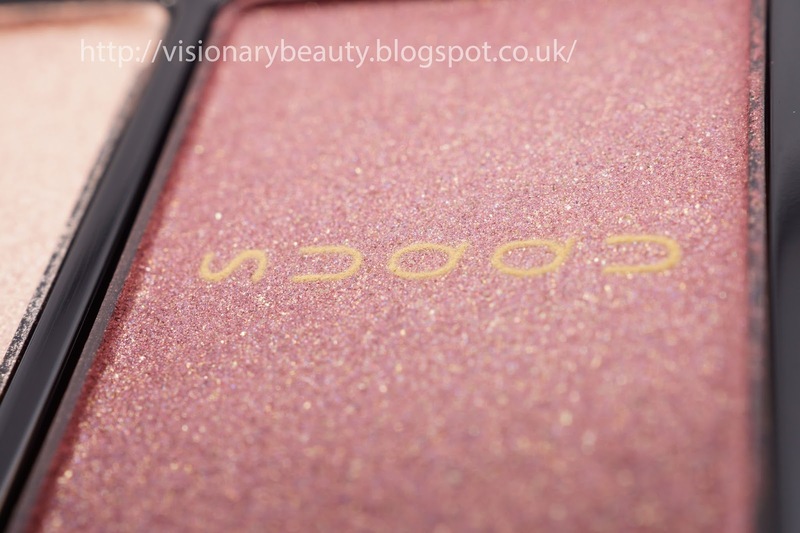 The whole range is beautifully coordinated and I had a really hard time trying to narrow down what to order as it all looked so tempting. 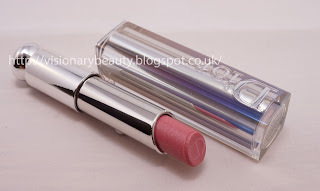 I wanted to try the new Irresistible glow lipstick formula for a while as heard its similar to the Chanel Coco Shines (which I really like) so I bought Irresistible glow lips Ex-05 which is a sheer glossy peach with a golden glow. 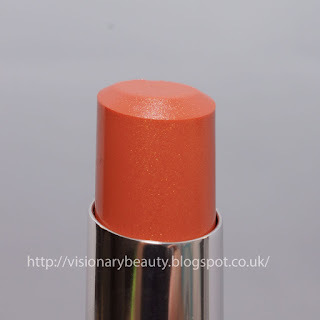 The texture is soft and really lightweight and it just glides on. 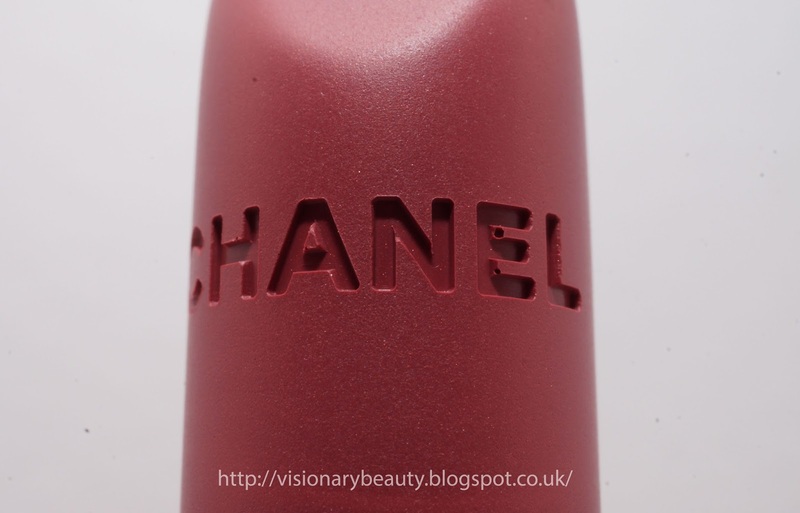 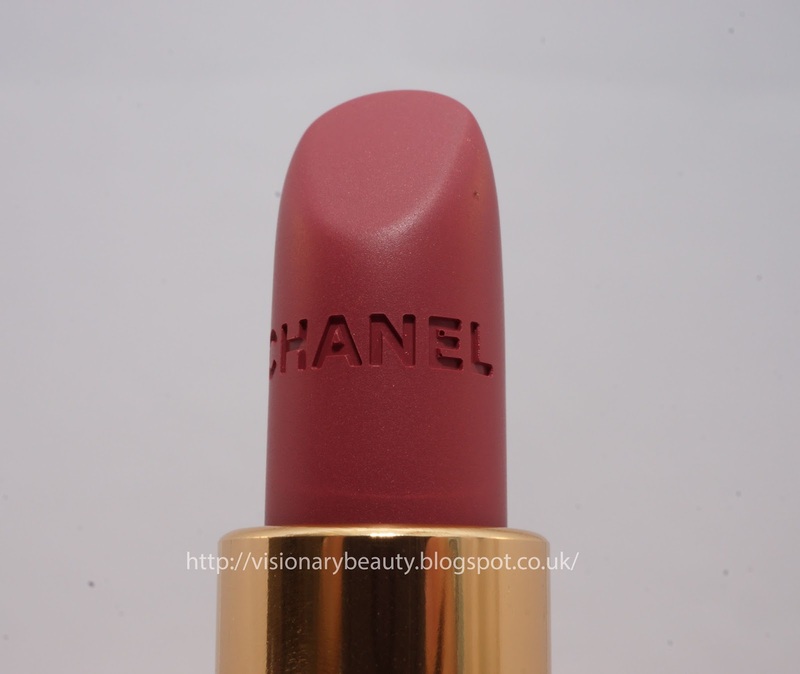 It feels hydrating and is a lot more forgiving on dry lips compared to the Chanel Rouge Coco shines. 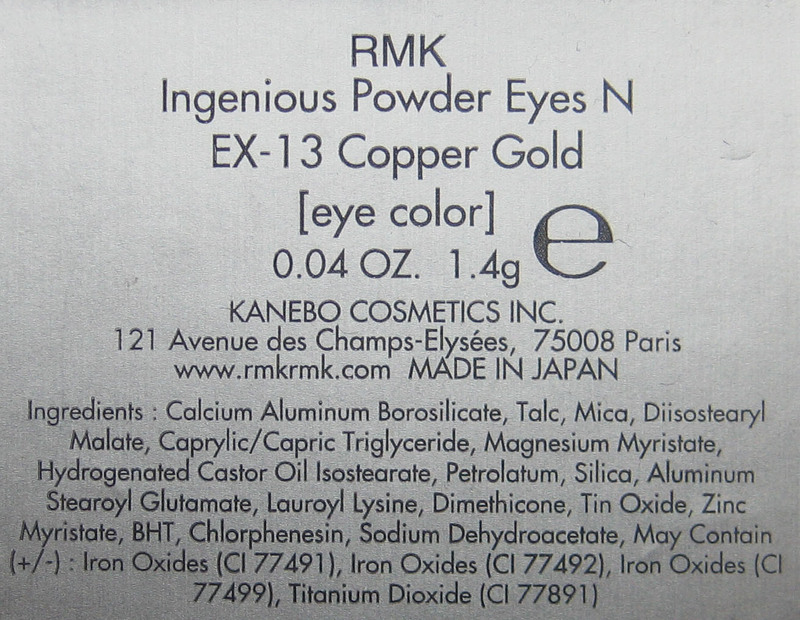 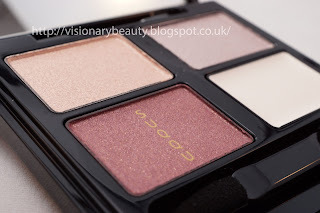 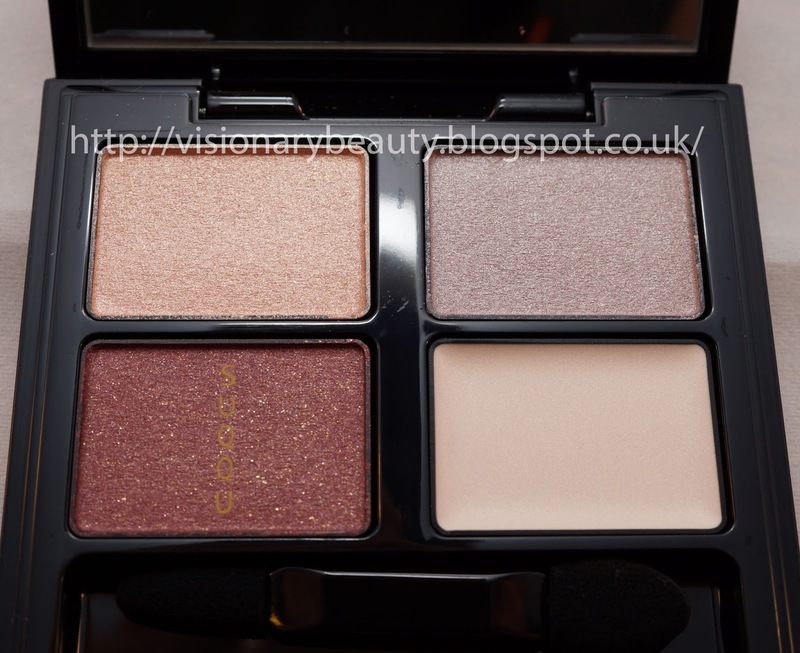 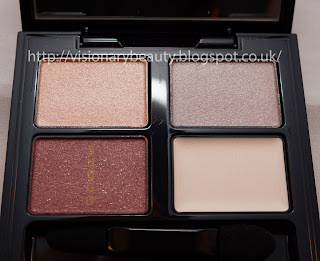 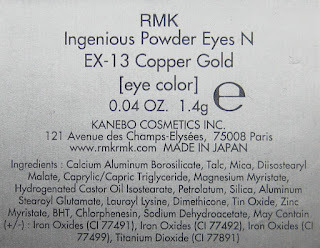 For eyes I went for the Ingenious Power Eyes N Ex-13 Copper gold, which is a shimmery golden copper. 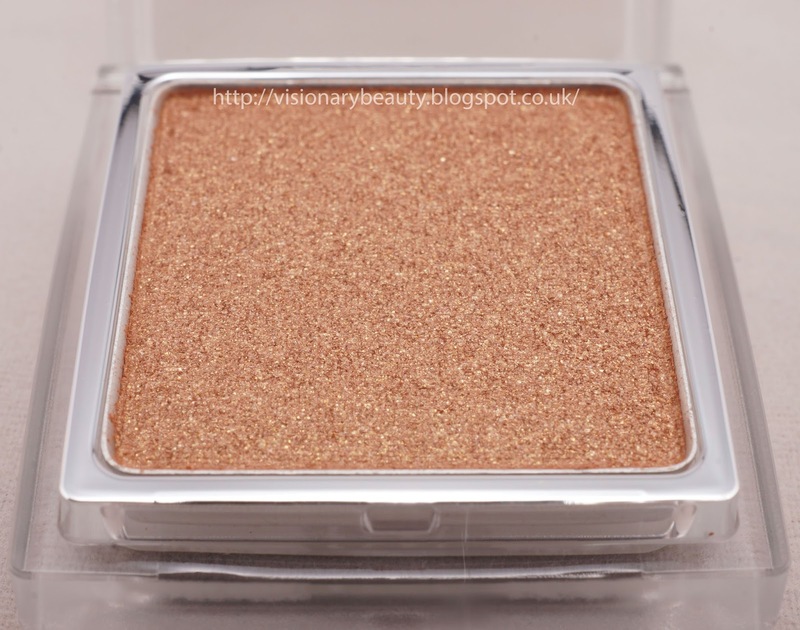 It has a lovely soft texture and applies really smooth, I like using this as a sheer wash (as shown below) or over other shades to give a warm shimmery glow. 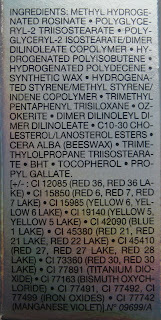 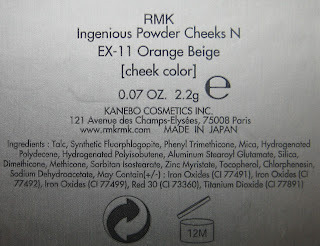 For cheeks I got Ingenious Powder Cheeks N Ex-11-Orange Beige, which is a apricot with a beautiful golden sheen. 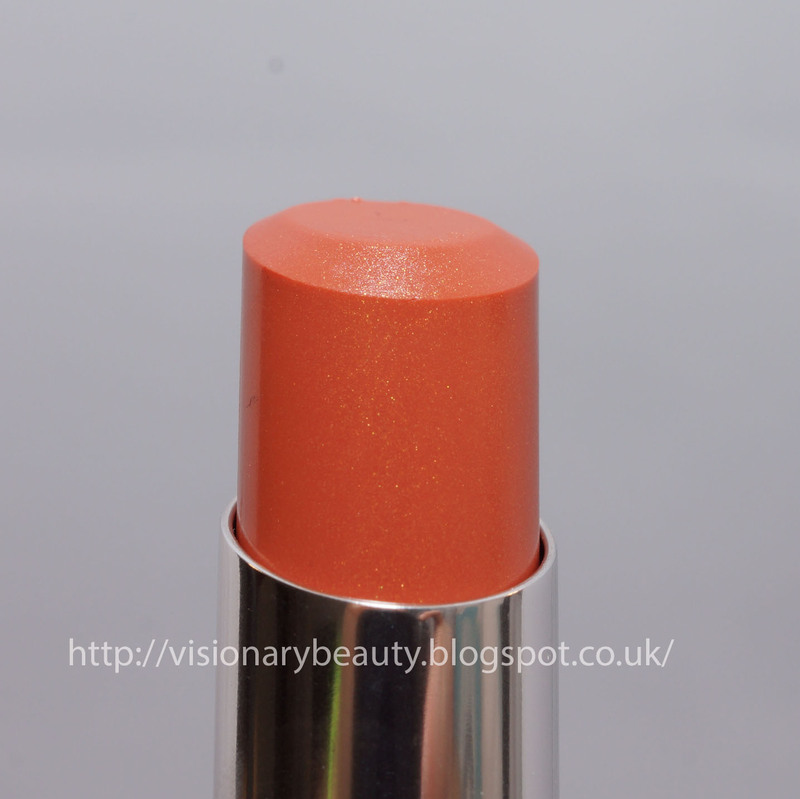 Its a subtle colour but has a really flattering glow finish. 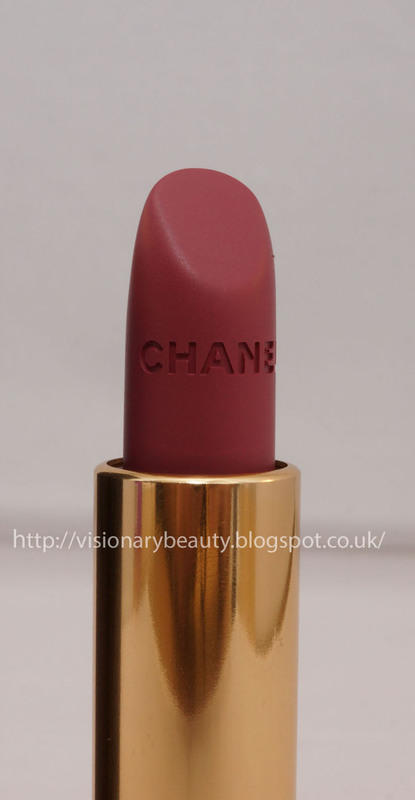 It applies especially well, no need for blending with this beauty. 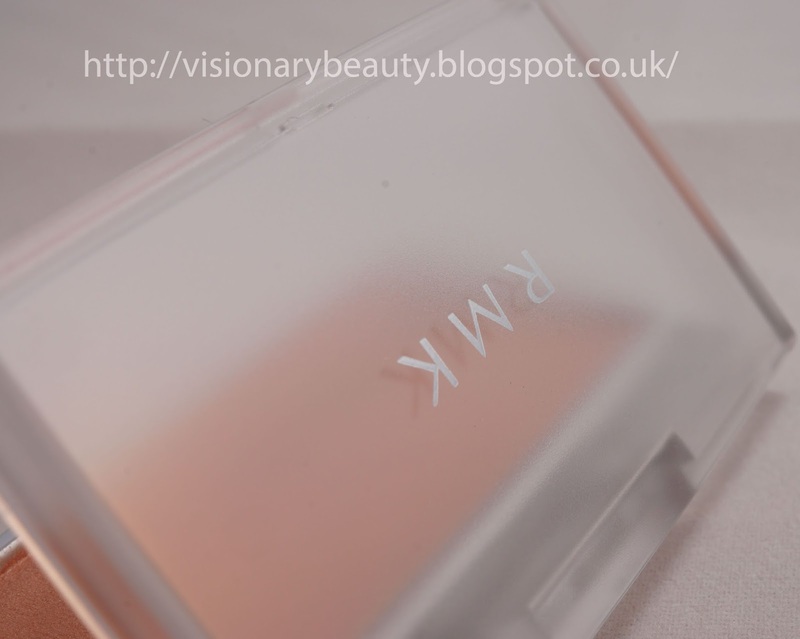 Normally I steer away from such warm hues but the delicate colours and faultless application makes all of these so wearable, it creates a glowing golden peach look with that bit of playfulness that RMK always inject into their collections. 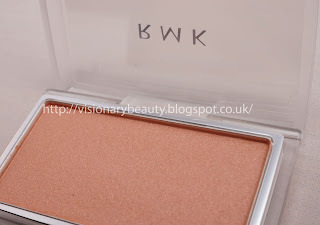 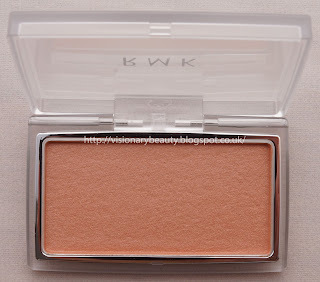 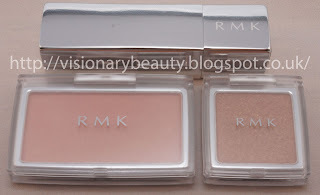 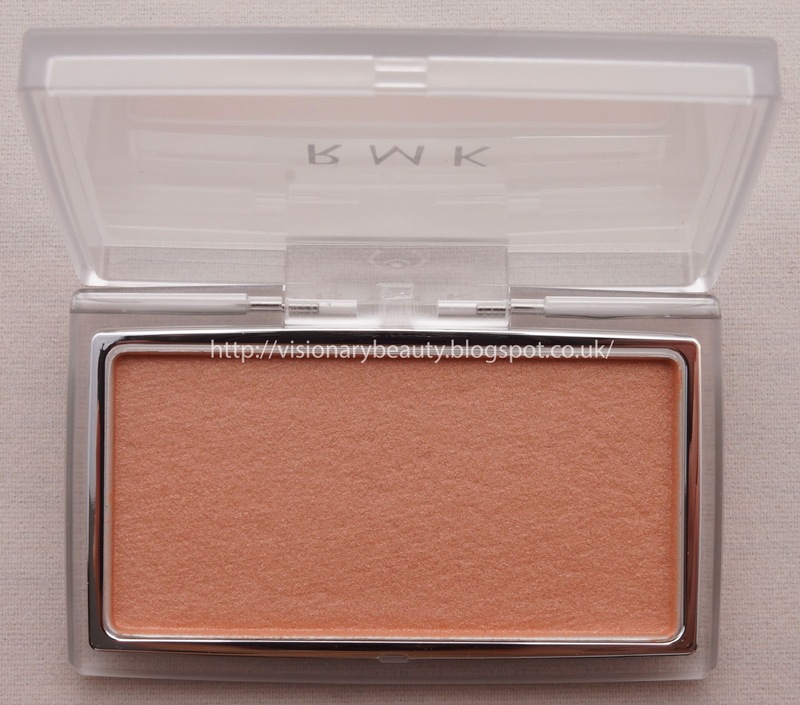 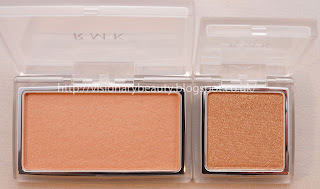 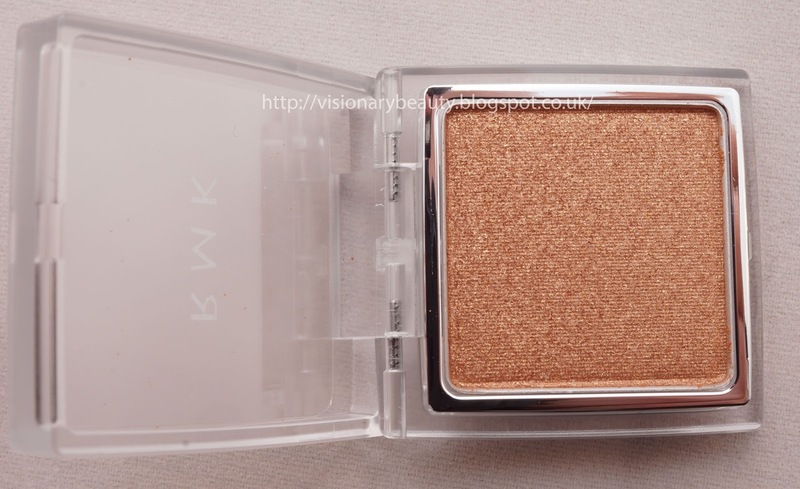 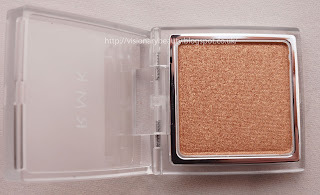 RMK is a sadly under reviewed brand but its definitely a brand I would recommend trying. 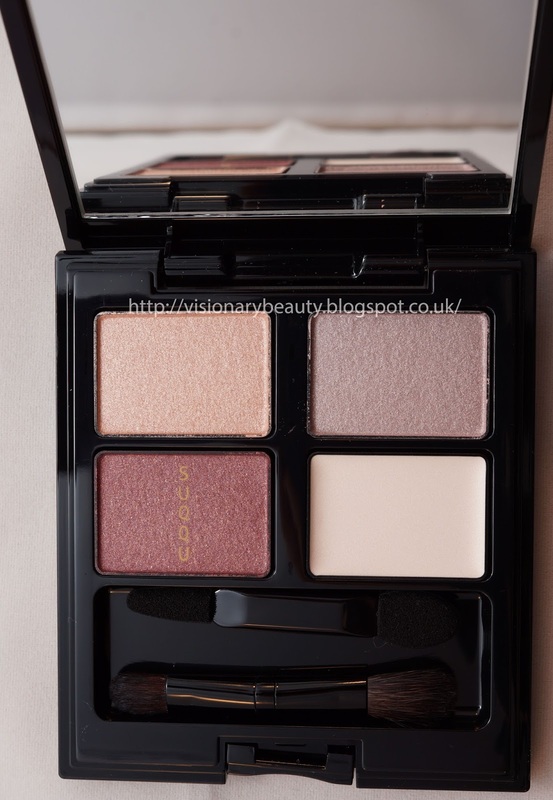 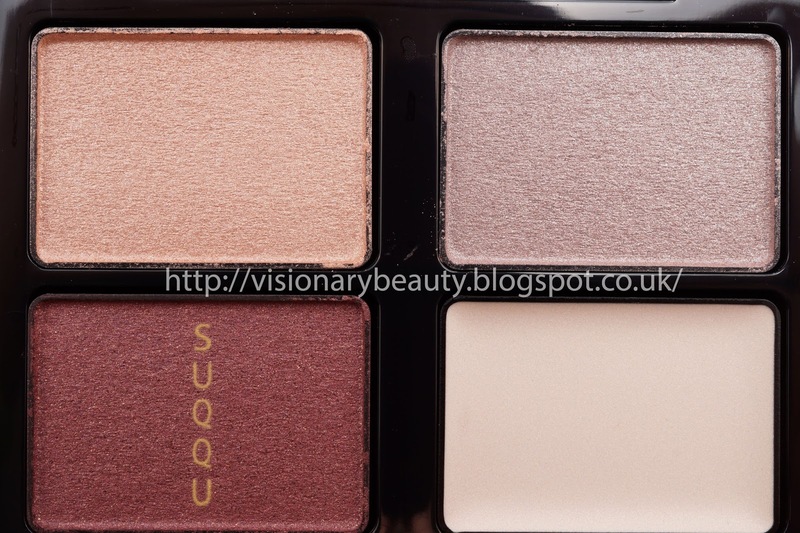 Suqqu Blend Color Eyeshadow #20 Kaoribara is one of three eyeshadow palettes released with this yeas Fall collection (its permanent). 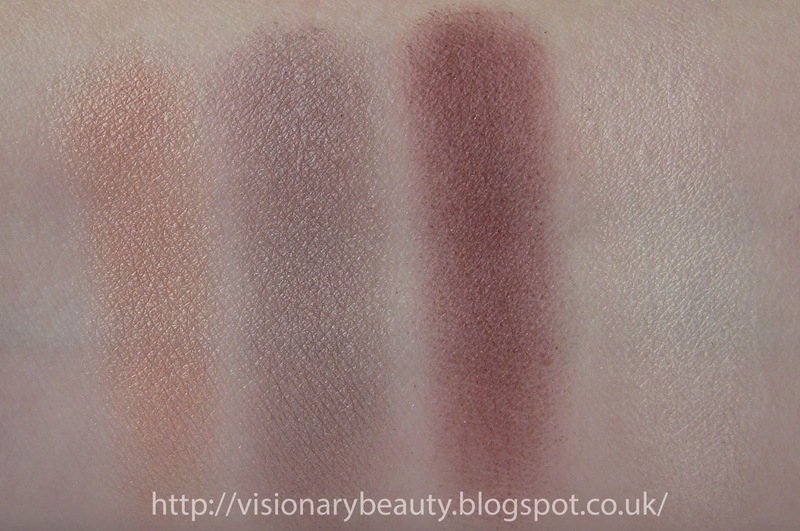 The palettes all have 3 powder eye shades and 1 cream eyeshadow base. 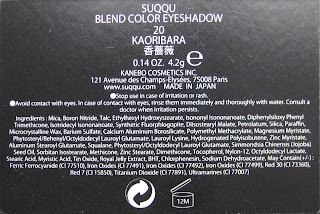 Kaoribara is an interesting mix of shades and the golden shimmer throughout adds unison to the whole look. It contains a shimmery peach, shimmery silver, satin finish burgundy and a sheer cream base shade. Whilst the peach and silver are quite shimmery it never borders on being frosty or over the top. 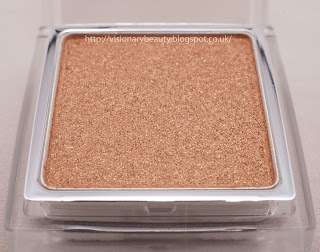 The cream shade has a nice light consistency and preps the lids well for application, giving a brightness and boosting the pigmentation of the powder shades. I'd be interested in Suqqu bought out cream shadows as part of their permanent range as its a nice formula. 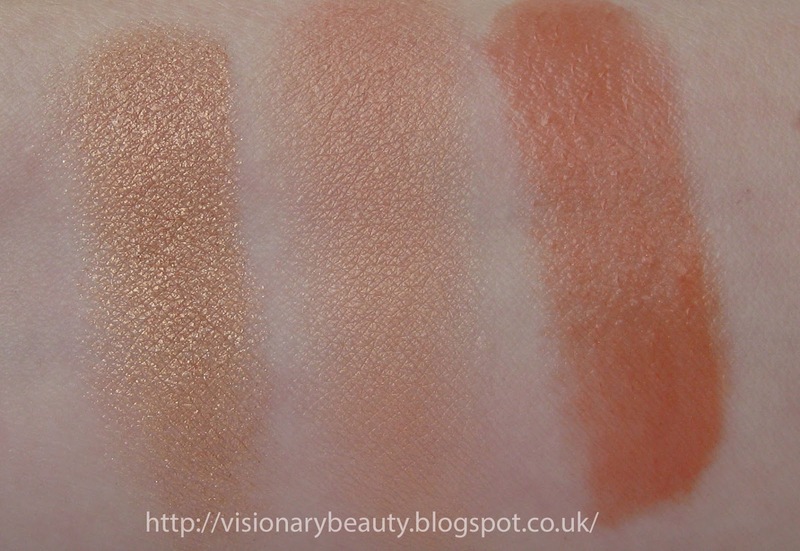 The shades all feel smooth, the powder shades are very soft, you really don't need to blend these much. 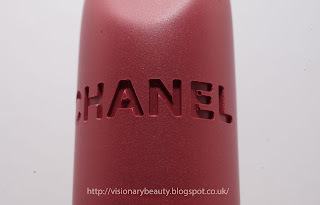 For me this reads too warm on my cool toned skin, but I would nevertheless recommend it, as it provides a soft elegant look with the burgundy giving an interesting depth. 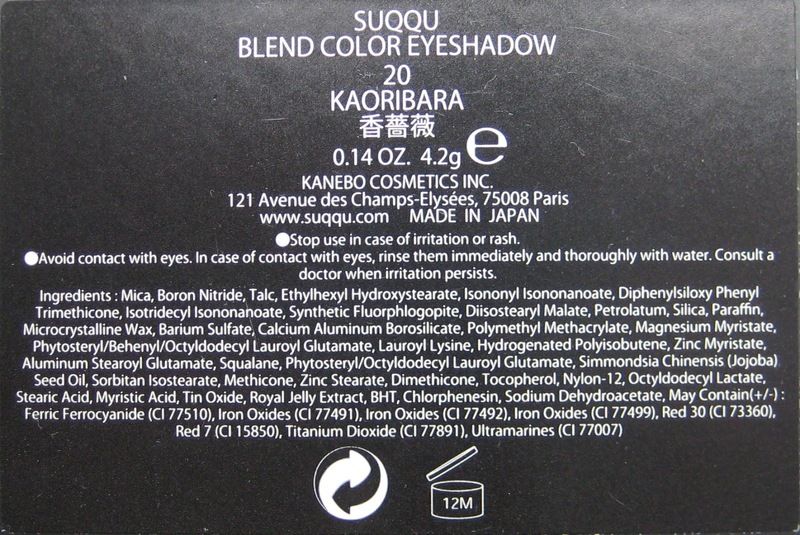 I've reviewed more from the Fall collection here and you can see Kaoribara in action on Sara from colormeloud here.